Omar said that the centre and the state Governor have only one responsibility right now and that is to hold the elections. Former Chief Minister and National Conference (NC) Vice-President Omar Abdullah on Monday warned that any tampering with the Article 35A would create a situation worse than that in Arunachal Pradesh where the government was trying to “fiddle with” the Permanent Residence Certificate (PRC) law. Addressing NC activists in Srinagar, Omar Abdullah said that his statement should not be treated as a threat to the country but it was just a warning to the government in view of the tension that has been created in Kashmir following reports of the centre trying to “tamper” the Article 35A that empowers the J&K government to define the permanent residents of the state. Hearing on petitions against Article 35A is expected to begin this week in the Supreme Court. 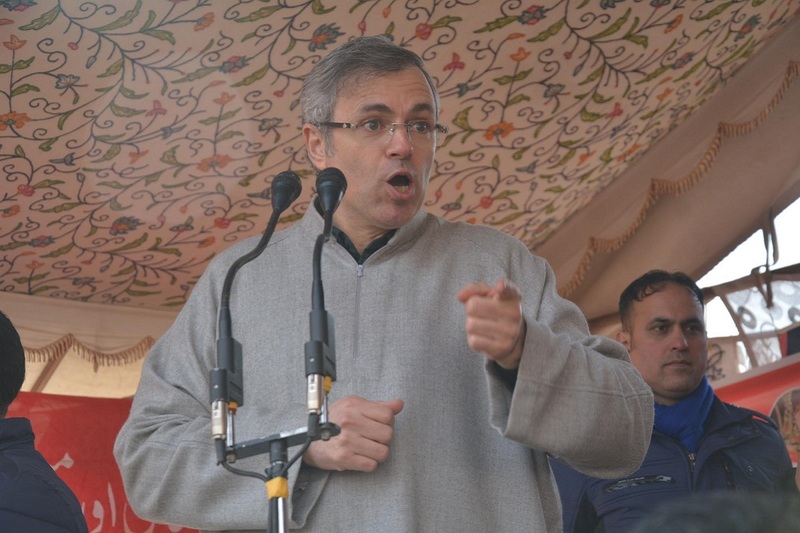 Omar accused the Centre of having created uncertainty over Article 35A which was creating fear and restlessness among the people of the state. “I want to tell the centre to see the situation in Arunachal Pradesh. There is no militancy or stone-pelting in Arunachal Pradesh but the state has been set on fire by fiddling with the Permanent Residence Certificate (PRC),” he said. “They have made amendments to the PRC law and the situation has become so bad in Arunachal Pradesh that people there have set on fire the house of deputy chief minister. 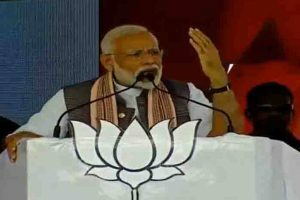 If you fiddle with Article 35A the situation will become even worse in Kashmir,” he warned. Omar said that the centre and the state Governor have only one responsibility right now and that is to hold the elections. The newly elected government will see how to safeguard Article 35A. “We know better than you how to improve the situation in the state”. Earlier, during the day in his tweets regarding simultaneous elections for the Assembly and Lok Sabha in J&K, Omar wondered whether Prime Minister Narendra Modi will allow holding of elections as per the schedule in the state. Commenting on reports that the Election Commission would take the final call for simultaneous polls after visiting J&K on 4 and 5 March, Omar tweeted, “Will the Modi government bow before those forces of separatism & terror that have always sought to disrupt/delay polls in J&K or will polls take place on schedule? The moment of truth for PM Modi’s handling of Kashmir over the last 5 years”. In another tweet, he said; “Baring the odd by-election all elections after 1995-96 have taken place on schedule. Will PM Modi be able to keep to this schedule or will he accept he’s totally mishandled J&K? The next few days will give us the answer”. Baring the odd by-election all elections after 1995-96 have taken place on schedule. Will PM Modi be able to keep to this schedule or will he accept he’s totally mishandled J&K? The next few days will give us the answer.